ROCK HILL, SC, Dec 20, 2016 – 3D Systems announced the release of 3D Sprint 2.0, a productivity-enhancing print management and print optimization software developed for 3D Systems’ plastic 3D printers. In line with the company’s commitment to providing end-to-end digital manufacturing solutions, 3D Sprint 2.0 streamlines 3D printing workflows by reducing the need for users to divide projects among multiple software programs. This results in a simplified and more productive printing process, saving users of 3D Systems’ plastic printers time and money. manage printer fleets and materials. 3D Sprint 2.0 supports and will immediately ship with all ProJet 1200 and ProJet MJP 2500 Series printers. 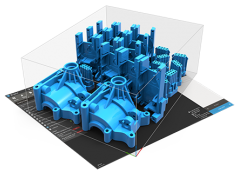 Support for other 3D Systems plastics printers as well as premium software levels with advanced editing and additional CAD format support will be announced at a later date. 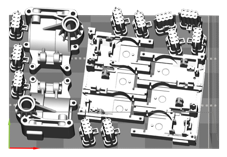 This entry was posted in CAD-CAM-CAE, Featured News on December 20, 2016 by Sharmila Guha.